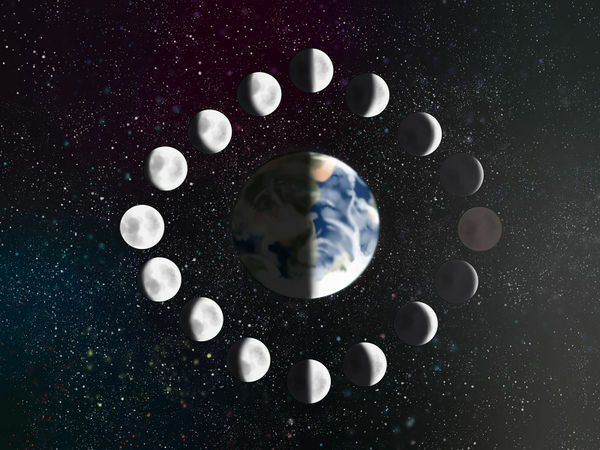 The moon travels the same path around the Earth every month, so it goes through the same monthly phases. 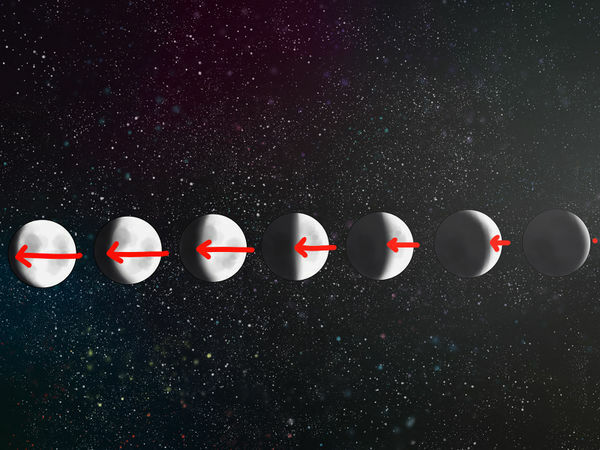 The phases exist because from our perspective on Earth, we observe the illuminated portion of the moon differently as it makes its way around us. Remember that half the moon is always illuminated by the sun: it’s our vantage point on Earth that changes and determines what phase we see. During the new moon, the moon is between the Earth and the sun, and is therefore not illuminated at all from our perspective. At this time, the moon’s illuminated side completely faces the sun, and we see the side that’s in full shadow. During the first quarter, we see half of the moon’s illuminated side and half of the moon’s shadowed side. The same is true in the third quarter, except the sides we see are reversed. When the moon appears full, we see its full illuminated half, while the side that’s in complete shadow faces out into space. After the full moon, the moon continues its journey back to its original position between the Earth and the sun, which is another new moon. It takes the moon a little over 27.32 days to complete one full revolution around the Earth. However, a full lunar month (from new moon to new moon) is 29.5 days, because that’s how long it takes the moon to return to its position between the sun and Earth. On the moon’s journey from new moon to full moon, we see a growing portion of its illuminated half, and this is called the waxing phase (waxing means growing or increasing). As the moon then goes from full to new again, we see a diminishing portion of its illuminated half, and this is called waning, which means decreasing in strength or intensity. The moon’s phases always look the same, so although the moon itself may appear in different locations and orientations in the sky, you’ll always be able to identify what phase it’s in if you know what to look for. Different parts of the moon are illuminated during waxing and waning. In the Northern Hemisphere, the part of the moon that is illuminated will appear to grow from right to left until it’s full, and it will then diminish from right to left. 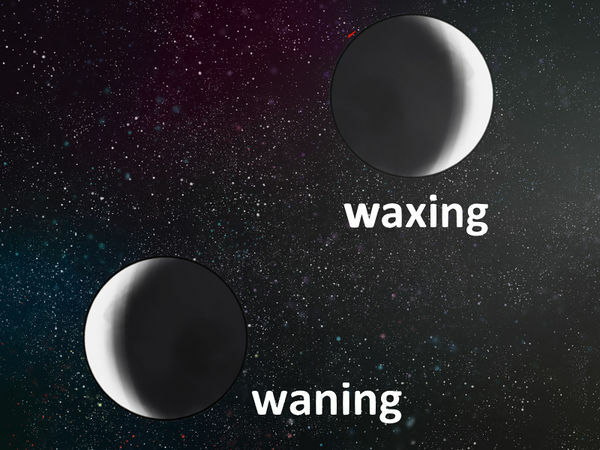 A waxing moon will be illuminated on the right side, and a waning moon will be illuminated on the left side. Hold out your right hand with your thumb out, palm facing the sky. The thumb and forefingers make a curve like a backward C. If the moon fits in this curve, it's a waxing moon (increasing). If you do the same with your left hand and the moon fits in the "C" curve then it is waning (decreasing). 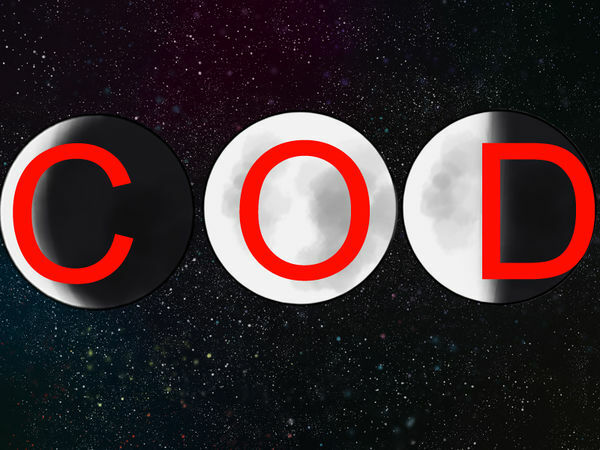 Since the moon always follows the same illumination pattern, you can use the shape of the letters D, O, and C to determine if the moon is waxing or waning. 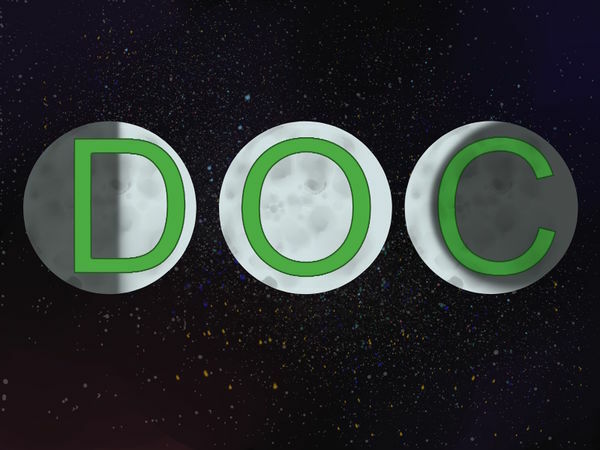 During the first quarter, the moon will look like a D. When it’s full, it will look like an O. And when it’s in the third quarter, it will look like a C. A crescent moon in the shape of a backwards C is waxing A half or gibbous moon in the shape of a D is waxing. A half or gibbous moon in the shape of a backwards D is waning. A crescent moon in the shape of a C is waning. 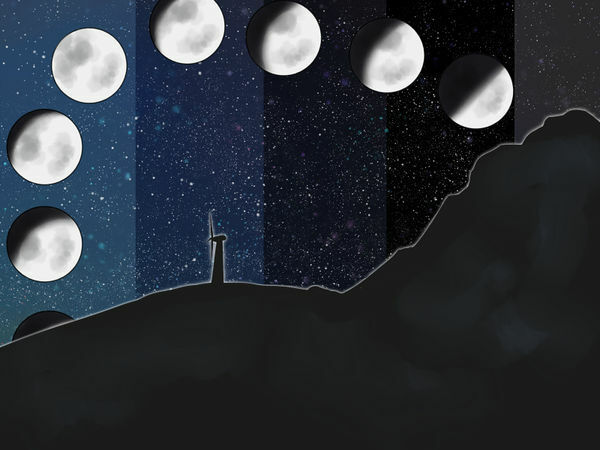 The moon doesn’t always rise and set at the same time, but changes depending on what phase it’s in. This means you can use the time of moonrise and moonset to determine if the moon is waxing or waning. You can’t see a new moon because it isn’t illuminated by the sun, and because it rises and sets at the same time as the sun. As the waxing moon moves into its first quarter, it will rise in the morning, reach its height around dusk, and set around midnight. Full moons come up when the sun goes down and set when the sun comes up. 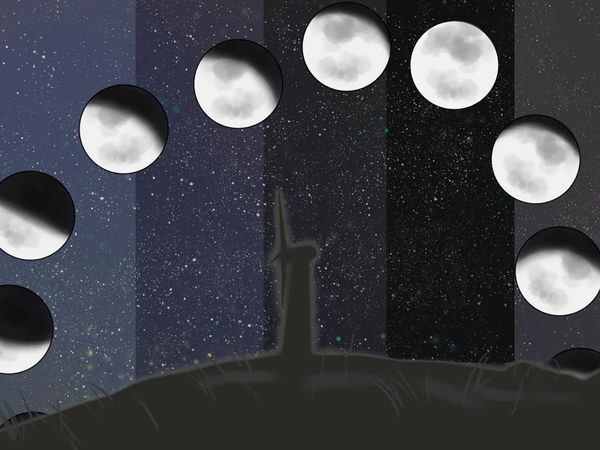 As the waning moon moves into its third quarter, it will rise at midnight and set in the morning. 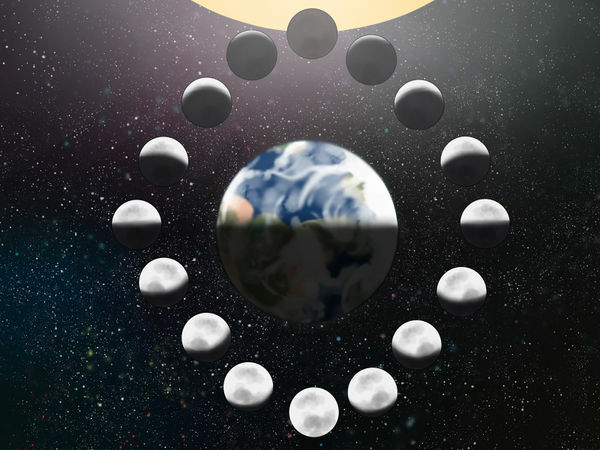 In opposition to the moon in the Northern Hemisphere, the moon in the Southern Hemisphere will illuminate from left to right, become full, and then diminish from left to right. A moon that’s illuminated on the left side is waxing, while a moon that’s illuminated on the right side is waning. Hold out your right hand with your thumb out, palm facing the sky. The thumb and forefingers make a curve like a backward C. If the moon fits in this curve, it's a waning moon (decreasing). If you do the same with your left hand and the moon fits in the "C" curve then it is waxing (increasing). The moon goes through all the same phases in the Southern Hemisphere, but the shapes of the letters that indicate waxing and waning are reversed from the Northern Hemisphere. 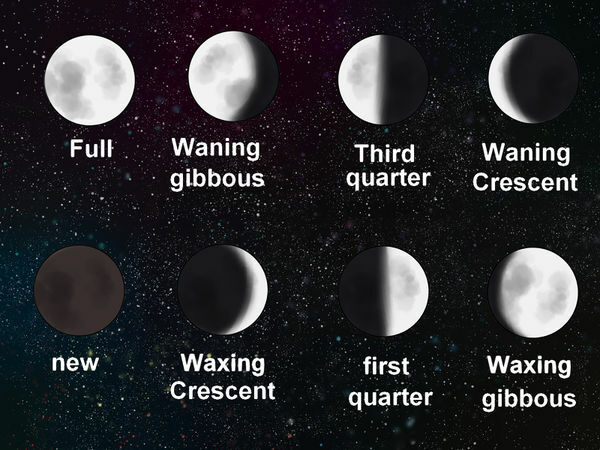 A crescent moon in the shape of a C is waxing A half or gibbous moon in the shape of a backwards D is waxing. A moon in the shape of an O is full. A half or gibbous moon in the shape of a D is waning. A crescent moon in the shape of a backwards C is waning. Although the moon may illuminate in the opposite direction in the Southern Hemisphere versus the Northern, it will still rise and set at the same times during the same phases. The first-quarter moon will rise in the morning and set around midnight. The full moon rises and sets when the sun sets and rises. The third-quarter moon will rise at midnight and set in the morning.